The weirdest places to stay in New Zealand. Stay in weirdest and most unique accommodations in the North Island! Hotels, motels and B&Bs come in all shapes and sizes in New Zealand. There are quirky little places that offer luxurious accommodation in yurts, a converted police station, and a church. Then there’s the downright insane accommodation such as a converted aeroplane, gypsy caravans and a houseboat! 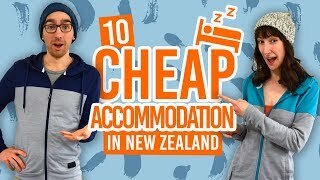 Although the following listicle may feature some accommodation that is over the usual backpacker budget, there may still be something for the Lord of the Rings‘ nerds who absolutely has to sleep in a Hobbit hole or the aspiring lighthouse keeper. What would you like to sleep in: a plane, a boat, a train or a Hobbit hole? Apart from crazy motels to stay in, Woodlyn Park is also the home of Billy Black: the travelling sheep shearer. You may have heard much about Maori cultural shows but at Woodlyn Park you can see a Kiwi culture show about country life. Woodlyn Park is also situated only two minutes from the amazing Waitomo Caves. Check Woodlyn Park out! The Lighthouse is the ultimate beach house, making it to number two on our unique accommodations in the North Island! It is on Island Bay, 15 minutes from Wellington city centre. To describe the QT Museum Wellington, formerly the The Museum Art Hotel, in three words would be: classy, luxury and quirky. Where else can you find motorbikes as a decor in the foyer? Check the QT Museum Wellington out! A retreat in the Maori ancestral lands by the Whananui River, The Flying Fox consists of three comfortable cottages. What makes them unique and an interesting stay is the focus on cultural significance and organic principles. Not forgetting the cable cart to get across the river! The cottages themselves are made from natural materials from the local area. Yurts are based on the traditional structure originally used as a portable shelter for nomads in central Asia. The Turoa Yurt Village has used this concept to create an awesome ski chalet village in the North Island. This Police Station accommodation still captures the Edwardian features through its restoration. You can either stay in the old detectives’ office or do time the cellblock. Built in 1909, The Old Church Cottage was the Salvation Army Citadel. Today it is a luxurious boutique hotel. Stone House consists of The Cottage, The Cabin and The Cutesy. We like The Cutesy because although it is the budget choice, it is still a quirky cabin with a cool upstairs bedroom. Six people can sleep “top and tail”. Another plus is that you can borrow a kayak to go on the nearby lagoon. There are a number of unique accommodation choices at Pagoda Lodge. The quirkiest being: a converted boat shed, gypsy caravans, the safari tent, and the caravans. Especially with the caravans, the saying “it’s what’s on the inside that counts” really applies here. Check Pagoda Lodge out! Who says accommodation has to be on dry land? With the polished wooden interior that covers the cabins and bar/lounge area, you could easily forget you are on a boat. The Rock is New Zealand’s largest houseboat and is a cool way to do some activities in the Bay of Islands. Check The Rock Adventure Cruise out! Want more New Zealand quirkiness? 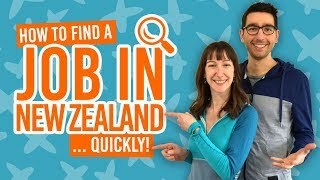 There are plenty more unique places to stay in the South Island too, as well as, some funky backpacker hostels. If you want to visit some of New Zealand’s quirkiest towns, take a look at the 22 BIG Things in New Zealand for insane sculptures in small towns.